These have been the longest 11 months of Isaiah Thomas’ young life. Basketball, his life-long best friend, was no longer on speed dial. A complex hip injury that originated in the most inconspicuous way nearly two years ago snatched basketball away and hid it down a long and winding path. Thomas was forced to navigate that road to find it once again. Many months later, a journey stuffed full of ups-and-downs and hope and doubt, he has done that. And now, a few days prior to an NBA All-Star game that he’d become a staple in, Thomas is back. He’s found basketball. “I haven’t played in…going on 11 months, so it’s something that I’m excited about,” Thomas said in a sit-down interview with Altitude Sports. “A little nervous at the same time because I haven’t played in so long. But I’m anxious. I’ve been working so hard for so long just to get back to right now, just to be able to compete and play the game of basketball again, and get that love back. 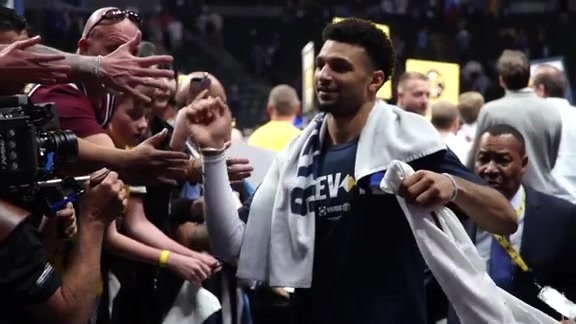 Thomas spoke at length about everything ranging from the rehab process, to whether he’d make the same decisions all over again, to being a vocal leader for a Nuggets team that has needed one. Q: What did you miss most about basketball? A: Competing. That’s the best thing for me; going out there and competing every day, whether it’s against your teammates or against the opposing team. So, I think that’s the biggest thing that’s been tough for me. I’ve been working out on my own for so long, and that gets boring. 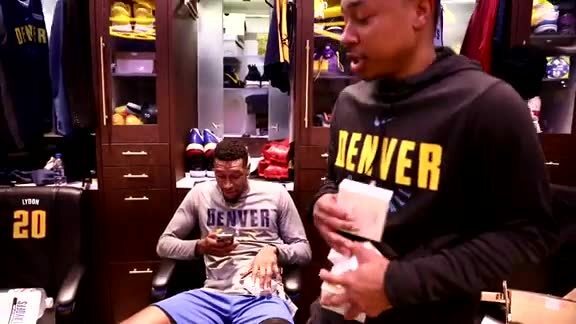 So, being able to go out there and compete, talk a little trash and just go out there and have fun, and just be able to go out there and be who I am, I just can’t wait to put on a Denver Nuggets jersey and be able to do that. Q: Basketball has always been your refuge. Without it, who helped you get through all of this? A: First and foremost, my family, my close friends, my wife. Those are the people who I lean on through those times. Because, like you said, basketball has always been something that no matter what was going on in life I could come to a basketball gym and forget about it, and lean on that. And I haven’t had that in so long, due to me getting hip surgery and due to me being out and rehabbing and things like that. So, I had to lean strongly on my family. My wife, in particular, has helped me through this whole process. My dad and my mom have as well, and other people in my life who are mentors have helped me as well. So, it’s close and I can’t wait to be able to play again. Q: Describe the journey through rehab. A: It was very hard. It takes a lot out of you. Before this injury, and before I got injured in Boston, I’ve never really had a serious injury. So this has been a process that I’ve had to take day-by-day. You have your dark days, and you have your highs and your lows. But, you’ve just somehow got to be even-keeled throughout the whole process. But like I said, I’m human; I have my dark days, I have my bad days where it just feels like nothing was going my way. But once I got closer and closer and was able to see the light at the end of the tunnel, that made it that much more worth it. I’m there now. I can see the light, I can see the finish line and me being able to go out there and compete and help this Denver Nuggets team win. Q: How many days was it difficult, or impossible to see the light at the end of the tunnel? A: It was a lot. Especially during the first six months; the first five, six months where I just had to rehab every day. It wasn’t basketball-related activities. It was going to the training facility and rehabbing and getting my strength back and doing that every day. And, you know, sometimes with those types of things you get bored with it. Because it’s every day, the same thing over and over. Once I was able to get back into the basketball activities, that made it a little easier. But then you keep going and you keep doing the same thing once you get on the court, and now I’m able to play 3-on-3 and 4-on-4 and 5-on-5, and those have helped me see the light at the end of the tunnel. So, like I said, I’m very excited. I’m taking my time and being a patient as possible with my body and just figuring out what I can and cannot do and what works for me. Q: Your social media hashtag #SlowGrind, what does that mean to you? A: It’s everything. It’s life. Life is a slow grind. You’re not just going to get it in one day no matter what it is. So, going through this process, going through the grind, it’s slow. You’re not going to find success tomorrow. It’s repetitive and it’s something that you just keep going on, and I always talk about I’m a marathon runner. This isn’t a 100-meter race, a 100-meter dash. It’s a marathon, and you’re going to have your bumps in the road. But as long as you keep going you’ll finish your race. Q: Do you think about the day Karl-Anthony Towns fell on you and what that started with this injury? A: For sure. I think about that all the time, just because I’m human. I played through that. And I kept going, and with the passing of my sister it was difficult for me to just sit at home, and I continued to play in the playoffs. And I obviously hurt it even more. But, everything happens for a reason. If I could do it again, I would probably play again. Just because that’s who I am. Knowing the significance of the injury, of what I knew at that time, I’d do it all over again. I think about it; I watch the injury. At that point in time, it didn’t hurt as bad. It did throughout this process. But, you live and you learn. That’s just my story, and I’m going to keep going and keep being an inspiration for everyone that’s watching. Q: It had to be difficult to know what to do because this wasn’t an obvious injury, like a broken leg. A: For sure. But you make those decisions, and you live and learn and just keep going. Every bump in the road that I’ve hit, every wall that people have tried to put up on me and my career, I just put my head down and ran straight through it. So, this is nothing new. I’ve just got to figure out with being injured and going through the surgery, how I’m going to get through this one. Q: How good do you feel on a basketball court right now? A: I’m not 100 percent, but I feel really good. I feel better than I did last season, when I was going through it as well. So, I’m still working my rhythm back, getting my strength back, my power back, but at the same time I can do anything I could before. I’m happy with where I’m at right now, and I’m going to continue to be patient with my body and continue to listen to my body. But, at the same time I feel like it’s the right time to be able to do out there and compete. Q: What are your thoughts on the Nuggets, from watching them? A: We’re a talented basketball team. We’re very talented. It’s not an ego-driven team; that’s what’s special about this team. Nobody cares about the success. Everybody is playing for each other and not just with each other. And that kind of reminds me of my Boston Celtics team – nobody really cared about who got the success. It was all about winning, it was all about ‘what can I do to help the next man succeed.’ And, I think when you have that mindset, the sky’s the limit. We have guys that are hard workers, and love the game of basketball. When you have those types of guys, everything it easy from there. Q: Is this team better than you thought? A: It’s definitely better than what I thought. I knew we were going to be good, I’m not going to lie about that. I knew this team could be special. But, it was all potential. I think we’ve put together a great season so far. A lot of people didn’t expect this. But, at the same time, from training camp on we expected to be a really good team and be one of the top teams in the NBA. And we’re playing like it. So, we’ve just got to continue that, continue to keep working and keep going. Q: Even though you’re not playing, you’ve been super vocal. Is that by design? A: That’s just who I am. No matter what team I’m on, I’m going to be a leader. I’m going to be vocal and I’m going to lead by example as well. But one thing that hit me hard, just coming to a new team that is definitely on the rise, (Nuggets coach) Mike Malone told me ‘I want you to be who you are. I know who you are. I know what type of leader you are, and I don’t want you to hold your tongue.’ So, when I came in, for the head coach to say that it made it even easier. I tell guys all the time, it’s never personal. If you’re trying to win, your feelings are going to be hurt at times. But it’s not personal. It’s always for the betterment of the team. I think guys are understanding that. And guys are understanding me. I haven’t been able to play yet, but I’m vocal. And if I see something I’m going to say something. But like I said, it’s never personal and it’s for the betterment of this team. Q: You’ve also become known for starting locker room debates. Is keeping things light in the locker room important? A: It’s very important. If you want to be a good team, you’ve got to be close, no matter what. We spend more time with each other than we do our families. So, guys have to open up. So, I try to have debates all the time and get guys arguing. And even when they are practicing and I’m not, I try to talk trash just to get people out of their comfort zone. That’s always good at times. It’s always fun and games. But when we step on the court in between these lines, it’s business. Q: How does your game mesh with what the Nuggets do? A: It’s an equal opportunity system. 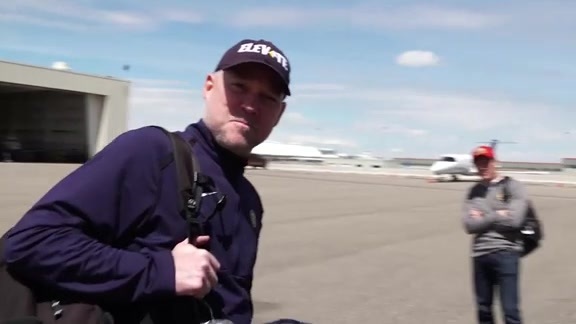 I’ve been in Mike Malone’s system before, so I know what he expects out of his players. I’m not here to step on anybody’s toes. I’m here to help. I’m here to take that next step with these guys and make it to the playoffs and show them how to win basketball games, and how to get to the playoffs. Individually, I’m here to get myself back to an MVP-type level and be the best I can for myself, but at the same time I’m here to help anybody on this team get to the next level. That starts from the first guy to the last guy. I want to do that, and I want to see everybody succeed. Q: There’s no doubt you’re getting back to that MVP level? A: With the opportunity, with the reps and getting my rhythm back, I know I can. Q: What are the life lessons you’ve learned from this whole ordeal? A: I think the biggest lesson is: do what’s best for yourself at the end of the day, no matter what, on or off the court. This is a business, as well all know. But at the end of the day you do what’s best for you and your family. And then once you step in between these lines, it’s what’s best for this team. And that’s what I probably learned from the whole situation the last almost two years. Really trying to figure out what’s best for myself, what’s best for my body, and taking advantage of the opportunity at hand. Q: Not many can understand how emotional all of this was for you. A: I just had to be strong for my family. A lot of people don’t understand that side. Most people are going to get traded, so you understand that’s the business. But when you have kids involved, and you have a family, a beautiful wife at home and three kids at home, they are getting to an age that they are building friendships with their friends at school and you’ve just got to get up and go. That’s hard for them. So, I’ve just got to be that strong man for my family and understand that this is a business and we’re just going to take it for what it is. At the same time, moving is hard. I’m not going to lie It’s one of the hardest things to just pick up and leave where you’ve been for a while and where you’re comfortable at to go somewhere new. Being in a new city that you’re not familiar with, being around new teammates that you’re not familiar with, and then being in a whole new environment for your family. So, I learned a lot throughout those situations. But I also learned you just take it for what it is, and you take advantage of the opportunity and you go from there. At the end of the day, I’m blessed. I’m blessed to have a healthy family, and I’m blessed to be able to do what I love. I don’t take none of this for granted. Q: Do you still have something to prove? A: It’s always that. That’s just my story, that’s just my career. 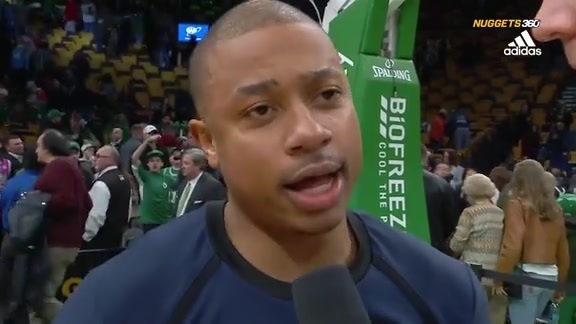 Even when I was at the top, and in the MVP race, all-NBA, All-Stars, all of that, there was also people in the background saying ‘Oh, he can’t do this, he can’t lead a team to the Finals.’ So, I’ve always got something to prove. But it’s not to prove to other people. It’s to prove to myself. I have an uphill battle that I have to go against, but it’s always been tough. So why is it going to be easy now?